Homelessness was up in Washington state but down nationwide this year, according to a report released Thursday. Point-in-time counts tallied 7.3 percent more homeless people in Washington state this year than in 2015, according to an annual U.S. Department of Housing and Urban Development report released Thursday. Nationwide, the counts carried out each January found fewer people experiencing homelessness, according to the 2016 Annual Homeless Assessment Report to Congress. Washington’s counts showed an increase of 1,408 people sleeping outside and in shelters — the country’s second-largest bump behind California. The state’s total number was 20,827. More than half the people tallied all across America were in one of five states, including Washington. The others were California, New York, Florida and Texas. Thirteen states saw increases from 2015 to 2016. In seven, including Washington, at least half the people counted were sleeping without shelter. Washington’s number this year was smaller than in 2010 but larger than in 2007, according to the report. The Washington state counts were carried out in seven areas: Seattle-King County, Everett-Snohomish County, Tacoma-Pierce County, Spokane, Yakima, Vancouver-Clark County and the rest of Washington — its smaller, more rural communities. Homelessness has grown since 2010 in Seattle-King County while dropping in the other six areas, according to the counts. The counts are estimates and are carried out differently in different areas. 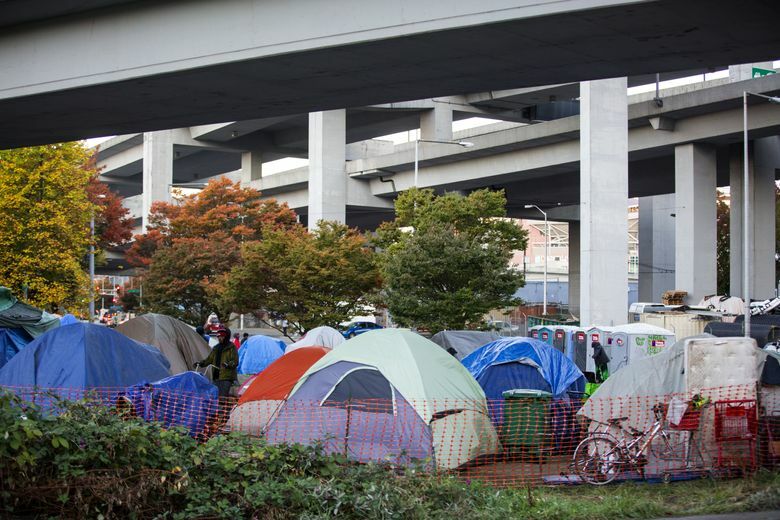 The Seattle Times has been covering homelessness in the region and beyond.